I’m an assistant professor in the Biology Department at the University of Perpignan. In the laboratory (CNRS, UMR 5244, Ecology and Evolution of interactions), I work on the interaction between the human blood fluke Schistosoma mansoni and its mollusc intermediate host Biomphalaria glabrata. Perrin, C., Lepesant, J. M., Roger, E., Duval, D., Fneich, S., Thuillier, V., Alliene, J. F., Mitta, G., Grunau, C. and Cosseau, C. (2013). Schistosoma mansoni mucin gene (SmPoMuc) expression: epigenetic control to shape adaptation to a new host. PLoS Pathog 9(8): e1003571. Galinier, R., Portela, J., Mone, Y., Allienne, J. F., Henri, H., Delbecq, S., Mitta, G., Gourbal, B. and Duval, D. (2013). Biomphalysin, a new beta pore-forming toxin involved in Biomphalaria glabrata immune defense against Schistosoma mansoni. 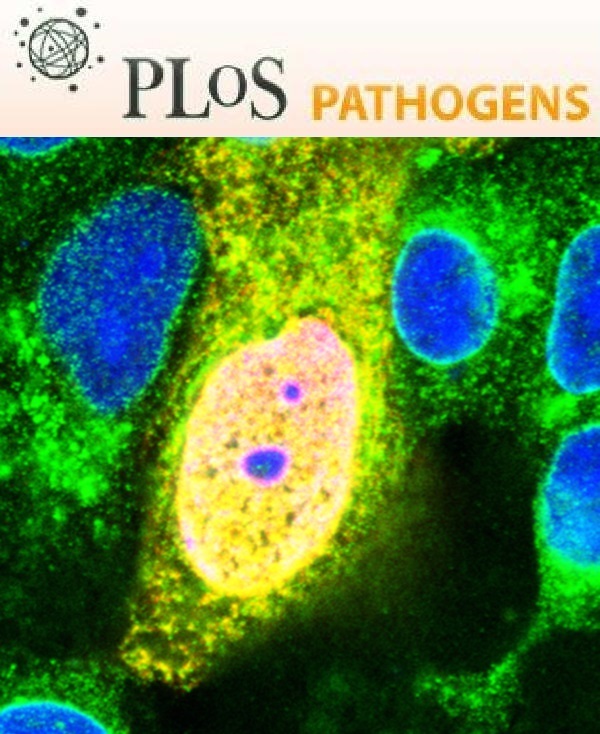 PLoS Pathog 9(3): e1003216. Portela, J., Duval, D., Rognon, A., Galinier, R., Boissier, J., Coustau, C., Mitta, G., Theron, A. and Gourbal, B. (2013). Evidence for specific genotype-dependent immune priming in the lophotrochozoan Biomphalaria glabrata snail. J Innate Immun 5(3): 261-276. Deleury, E., Dubreuil, G., Elangovan, N., Wajnberg, E., Reichhart, J. M., Gourbal, B., Duval, D., Baron, O. L., Gouzy, J. and Coustau, C. (2012). Specific versus non-specific immune responses in an invertebrate species evidenced by a comparative de novo sequencing study. PLoS One 7(3): e32512. Vidal-Dupiol, J., Ladriere, O., Destoumieux-Garzon, D., Sautiere, P. E., Meistertzheim, A. L., Tambutte, E., Tambutte, S., Duval, D., Foure, L., Adjeroud, M. and Mitta, G. (2011). Innate immune responses of a scleractinian coral to vibriosis. J Biol Chem 286(25): 22688-22698. Mone, Y., Ribou, A. C., Cosseau, C., Duval, D., Theron, A., Mitta, G. and Gourbal, B. (2011). An example of molecular co-evolution: reactive oxygen species (ROS) and ROS scavenger levels in Schistosoma mansoni/Biomphalaria glabrata interactions. Int J Parasitol 41(7): 721-730. Beltran, S., Gourbal, B., Boissier, J., Duval, D., Kieffer-Jaquinod, S., Pierce, R. J., Grunau, C., Theron, A. and Mitta, G. (2011). Vertebrate host protective immunity drives genetic diversity and antigenic polymorphism in Schistosoma mansoni. J Evol Biol 24(3): 554-572. Mone, Y., Gourbal, B., Duval, D., Du Pasquier, L., Kieffer-Jaquinod, S. and Mitta, G. (2010). A large repertoire of parasite epitopes matched by a large repertoire of host immune receptors in an invertebrate host/parasite model. PLoS Negl Trop Dis 4(9). Mone, Y., Mitta, G., Duval, D. and Gourbal, B. E. (2010). Effect of amphotericin B on the infection success of Schistosoma mansoni in Biomphalaria glabrata. Exp Parasitol 125(2): 70-75. Vidal-Dupiol, J., Adjeroud, M., Roger, E., Foure, L., Duval, D., Mone, Y., Ferrier-Pages, C., Tambutte, E., Tambutte, S., Zoccola, D., Allemand, D. and Mitta, G. (2009). Coral bleaching under thermal stress: putative involvement of host/symbiont recognition mechanisms. BMC Physiol 9: 14. Trouillas, M., Saucourt, C., Duval, D., Gauthereau, X., Thibault, C., Dembele, D., Feraud, O., Menager, J., Rallu, M., Pradier, L. and Boeuf, H. (2008). Bcl2, a transcriptional target of p38α, is critical for neuronal commitment of mouse embryonic stem cells. Cell Death Differ 15(9): 1450-1459. Duval, D., Trouillas, M., Thibault, C., Dembele, D., Diemunsch, F., Reinhardt, B., Mertz, A. L., Dierich, A. and Boeuf, H. (2006). Apoptosis and differentiation commitment: novel insights revealed by gene profiling studies in mouse embryonic stem cells. Cell Death Differ 13(4): 564-575. Duval, D., Malaise, M., Reinhardt, B., Kedinger, C. and Boeuf, H. (2004). A p38 inhibitor allows to dissociate differentiation and apoptotic processes triggered upon LIF withdrawal in mouse embryonic stem cells. Cell Death Differ 11(3): 331-341. Duval, D., Duval, G., Kedinger, C., Poch, O. and Boeuf, H. (2003). The 'PINIT' motif, of a newly identified conserved domain of the PIAS protein family, is essential for nuclear retention of PIAS3L. FEBS Lett 554(1-2): 111-118. Boeuf, H., Merienne, K., Jacquot, S., Duval, D., Zeniou, M., Hauss, C., Reinhardt, B., Huss-Garcia, Y., Dierich, A., Frank, D. A., Hanauer, A. and Kedinger, C. (2001). The ribosomal S6 kinases, cAMP-responsive element-binding, and STAT3 proteins are regulated by different leukemia inhibitory factor signaling pathways in mouse embryonic stem cells. J Biol Chem 276(49): 46204-46211. Duval, D., Reinhardt, B., Kedinger, C. and Boeuf, H. (2000). Role of suppressors of cytokine signaling (Socs) in leukemia inhibitory factor (LIF) -dependent embryonic stem cell survival. FASEB J 14(11): 1577-1584.